It's a Good Time to Be a Citizen Scientist! Citizen Science is a term used to describe non-specialist research and data collection carried out by private individuals, foundations and organizations utilizing the power of the internet to collaborate around the globe. There are many innovative projects and ways that anyone can collect data and conduct research. Interest in citizen science among curious students young and old not only builds awareness of key ocean issues but also promotes greater commitment by the general public to commit to creating positive change for the future of the ocean. Citizen Science supports oceanographic research projects that help expand the understanding of the world’s oceans through technological advancements, intelligent observation and analysis, and open sharing of information. The phenomenon of Citizen Science has two excellent outcomes: first, it provides information that cannot be collected by the traditional methods of field research, transcending the challenges of time and cost; and, second, it enlists non-scientists — students at many levels and curious individuals — in the exploration of a challenging question, its solution, and the expansion of public awareness and action from the project derived. Add to this innovation easy access via the Internet and social media to reach other similar citizens worldwide and you have a powerful tool for study and education. This value is especially true for ocean science wherein the need for observation and data collection is distributed across a vast horizon of geographical, physical, and biological inquiry, none of which is easily or cheaply accessible. The cost to build, maintain, and operate research vessels is enormous and is mostly provided through government funding and some dedicated private philanthropy. New remote, technologically advanced observation systems are proliferating ocean wide; similar autonomous vehicles and technologies for access to the water column and sea floor are also in place. These amplify the collection of data for the most focused experiments, but are exclusive to very precise experiments and data collection and are not available to a large majority of scientists eager to investigate an almost infinite number of questions — a stunning measure of our ignorance about the ocean — how it is, how it works, and what is at risk due to change in critical environmental conditions. Let’s say you love penguins, and want to study their behavior and count population numbers over a period of years in places you can never visit? To do so otherwise would be prohibitively time-consuming, physically demanding, and very expensive. Enter Penguin Watch, established by Oxford University in England, which enlists over 4000 volunteers to monitor aerial and time lapse images from rookeries in the southern ocean, taken by remote cameras, to record size and structure of populations from year to year, and to observe molting cycles, predation, and novel behaviors otherwise unobserved. It’s penguins 24/7. Whale lover? Go to Happy Whale, created by the Cascadia Research Collective, Olympia, Washington, and Allied Whale, College of the Atlantic, Bar Harbor, Maine, where you can track whales all over the world by their unique tail markings as documented by algorithm analysis of photographs taken by individual photographers, whale watching companies, and eco-tourist ships in the most remote whale breeding habitats, migration paths, and feeding grounds. You can locate and follow, even name, a particular whale from place to place, year after year; you can learn, and share, everything you want to know about whales. “Charlotte’s Hope” was tagged and observed by scientists from Woods Hole Oceanographic Institute, and filmed by BBC ONE for Blue Planet Live, in Charlotte Bay on the Antarctic Peninsula on March 11, 2019. Charlotte’s Hope was then adopted and named by W2O's own Peter Neill as an expression of wonder and optimism for the survival of whales, wild animals and wild places in our ocean world. Head in the clouds? Go to the International Cloud Atlas, sponsored by the World Meteorological Organization (WMO), a global reference system for observing and identifying clouds, including classifications, historical information, measurements, changing characteristics and other related meteorological phenomena such as halos, snow devils, and rainbows, and now publicly accessible in digital format, presenting thousands of examples of cloud formations in ten accepted categories. You can also join the Cloud Appreciation Society, created by Gavin Pretor-Pinney, where you will find cloud images and events, observation tools, information on clouds in art, music and poetry, a membership pin, a daily cloud fact emailed daily, and access for upload of your personal cloud- spotting efforts. The Cloud Appreciation Society was launched in 2005 by Gavin Pretor-Pinney as a way to bring together people who love the sky. With members in 120 countries around the world, all are united in the belief that clouds are the most dynamic, evocative and poetic aspect of nature. Become a member today. Or, are you one of those mesmerized by phytoplankton, microscopic plant-like creatures that drift in the ocean and are the foundation of the food system for marine species, play a critical role in the carbon cycle by drawing CO2 from the atmosphere to the deep ocean, and contribute over half of the Earth’s oxygen, more than the trees and plants combined? Yes, too there is a place for you: Fjord Phyto, a polar citizen science initiatives sponsored by the Scripps Institution of Oceanography. Here you can train to take water samples in Arctic and Antarctic fjords and submit them for comparative study of these key, ubiquitous, almost invisible exemplars of intense biodiversity. Follow turtles? Count birds? Pick your interest. For the citizen scientist, there has never been a better time nor more prolific means to be curious about our ocean world. PETER NEILL is founder and director of the World Ocean Observatory and is author of The Once and Future Ocean: Notes Toward a New Hydraulic Society. He is also the host of World Ocean Radio, a weekly podcast addressing ocean issues, upon which this blog is inspired. 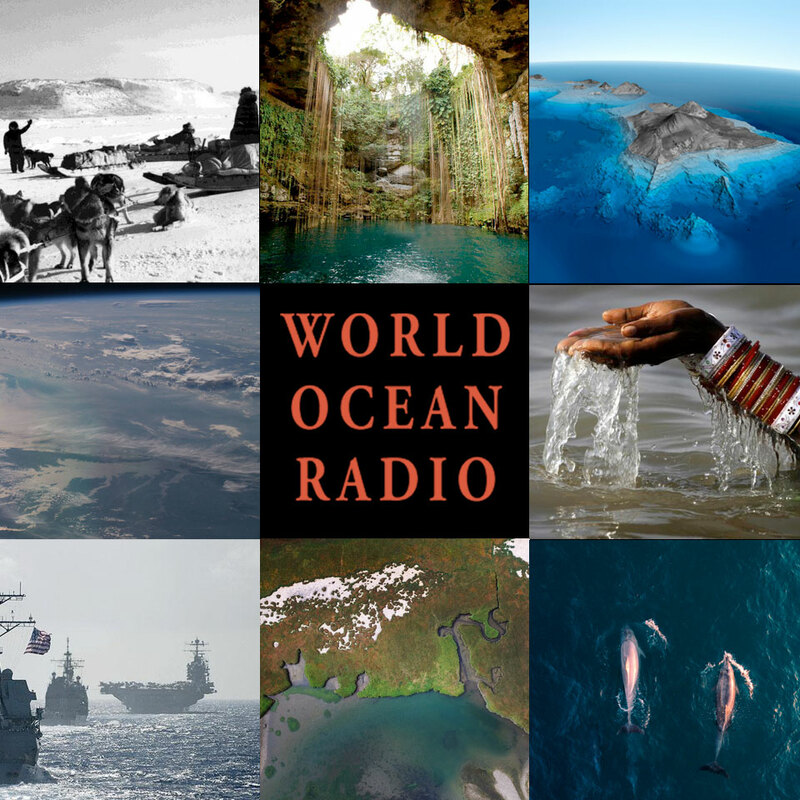 This week marks the 500th episode of World Ocean Radio. For more than 10 years, World Ocean Radio has been engaging in dialogue about ocean issues, suggesting solutions to today's problems, and championing for the change required to conserve and sustain all natural resources for the benefit of all mankind. Originally broadcast through WERU-FM in Blue Hill, Maine, World Ocean Radio is now heard via college and community radio stations, podcast and Internet radio on five continents around the world. This week we broadcast our 500th edition of World Ocean Radio. Ten years. Weekly deadlines. Topics as diverse as the sea itself. To commemorate we’d like to offer a reprise of our very first episode of World Ocean Radio. The ocean is a central element in the recycling and purification of fresh water. 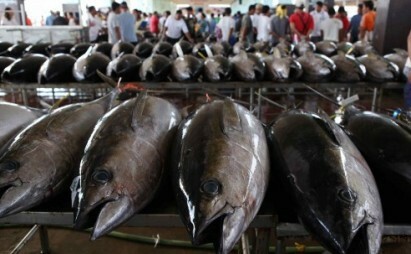 The ocean provides 90% of the world’s protein, especially in developing nations. 60% of the world’s population lives within 100 miles of an ocean coast. The reality is that the ocean is essential to human survival, a primary source of food, water, climate, and community — immediate, universal, and undeniable. In short, the ocean is the determinant ecology in which we live — the sea connects all things. Thanks, strangers and friends, for listening and for reading episode transcripts here via our Medium blog. The Sea Connects All Things. PETER NEILL is founder and director of the W2O and is author of The Once and Future Ocean: Notes Toward a New Hydraulic Society. He is also the host of World Ocean Radio, a weekly podcast addressing ocean issues. 500 episodes and counting! Are We Changing Our Collective Attitude on Climate Change? The World Ocean Observatory advocates through communications, using every tool available to reach a growing international audience of Citizens of the Ocean to inform, unite, focus, and enable public engagement and response to global challenges to the sustainable ocean. Who do we reach? How many? What are the available means to measure the effect of such an endeavor? Our team looks at web stats, program links, subscriber numbers and reactions to relentless messaging on social media. On Facebook alone, the World Ocean Observatory has more than 784,000 followers worldwide, a continuous measure of reach, growth, and reaction. Our weekly podcast, World Ocean Radio, is syndicated through 44 stations in the United States, additionally selected through the Public Radio Exchange and the Pacifica Network, delivered weekly to podcast subscribers, re-posted and shared through internet sites such as our own World Ocean Forum, Medium and via this platform. It is heard abroad in Australia, New Zealand, Hong Kong, and along both costs of Africa through internet stream. A reasonable calculation of the interconnected size of this audience potential could legitimately claim connection to hundreds of thousands of listeners, possibly millions. But even so, does it make any difference? I was heartened recently by a report from the Yale Program on Climate Change Communications, the result of an annual survey taken in the United States, measuring the state of public awareness and political views on issues relating to climate reality, global warming, political bias, and the implication of measured opinion for the future. The Yale Program, directed by Dr. Anthony Leiserowitz, has its own excellent website climatecommunication.yale.edu that features Yale E360, a daily distribution of climate news, plus other excellent features, analyses, and publications; I urge you to read and to subscribe. Surveying results from 2008 though 2018, the Yale report (Climate Change in the American Mind, March 2018) notes in the last year a significant upward shift of 5 to 7 to 9% by registered voters in terms of understanding and concern over the existence and human causing of climate change, registered voters who are “somewhat” or “very” worried about global warming and the need take reactive measures. While the increases vary according to political party orientation, the numbers in support are at an all-time high. The survey also addresses four different types of proposed national policies for the United States to reduce carbon pollution, decrease dependence on fossil fuels, and promote clean energy. Specifically, it sought opinion on 1) The Green New Deal, a ten-year plan to invest in green technology, energy efficiency, and infrastructure to make the nation 100% reliant on clean renewable resources; 2) The Clean Power Plan, the setting of strict carbon dioxide emission limits on coal-fired plants to reduce global warming and improve public health; 3) A Revenue-Neutral Carbon Tax, requiring fossil fuel companies to pay a carbon tax that would be directed to reduce other taxes, such as income, in equal amount; and 4) A Fee and Dividend Proposal, requiring fossil fuel companies to pay a fee on carbon pollution, the funds to be distributed as dividend to United States citizens in equal amounts. These would seem controversial and unlikely given the survey just a year ago. But here are the 2018 results for support of the Green New Deal: 81% positive for all registered voters; 92 % of Democrats; 88% of Independents; and 64% of Republicans. Or how about these results for Fee and Dividend? 63% of registered voters; 78% of Democrats; 66% of Independents; and 39% of Republicans. The results for the other plans were similar. Frankly, I found these numbers astonishing. Yes, you can quibble about methodology and all the rest when challenging the accuracy of such surveys, but consider the relative shift in favor of ideas that just a few years ago would have not even been considered by the public. I take heart from this response. It signals a serious shift in awareness and understanding of the need for new values, structures, and behaviors if we are to meet the critical challenge of changing climate, made more evident to us all everyday. Let’s credit communications. Credit the press that has reported the climate-related consequences affecting people all over the world. Credit the scientists who have steadfastly promoted the data and the evidence in the face of irrational denial. Credit the authors of a library of important books on the environment predicting the impacts to come, even if not then yet apparent to us all. Credit the few, dedicated politicians who have spoken constantly to the legislature and the leadership, even if persistently ignored. Credit the citizens themselves who have seen the evidence, taken stock, and now intend to apply that understanding as political will. It would appear we are not a minority to be dismissed after all. It would appear that we are substantial majority prepared to act. Through communications, we are now measurable numbers of informed citizens prepared to take control of our lives, our environment, our politics, and our future. There is hope after all. PETER NEILL is founder and director of the W2O and is author of The Once and Future Ocean: Notes Toward a New Hydraulic Society. He is also the host of World Ocean Radio, a weekly podcast addressing ocean issues, upon which this blog is inspired.